Statistics that allow us to infer something about populations from samples. 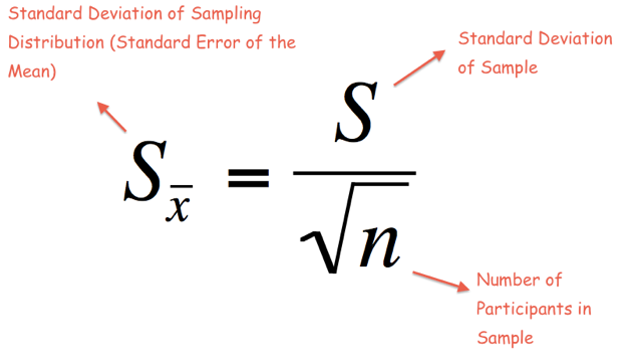 Using descriptive statistics (which describe a sample) to estimate parameters (which describe a population). A procedure such as a t-test used to decide whether our results have been obtained by chance alone. Is the difference in the results statistically significant? 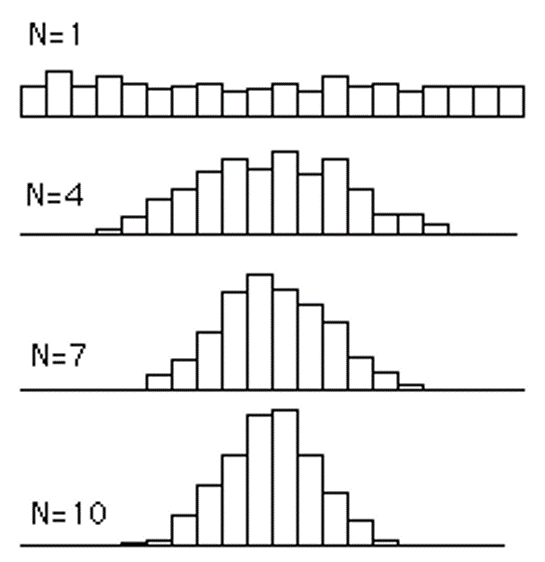 Even if the raw data are not normally distributed, the sampling distribution of the mean will tend to be so. This tendency increases as the size of the samples used to generate the means increases. Has a very good chance of including the population mean between its upper and lower confidence limits. How do you calculate the value of t? 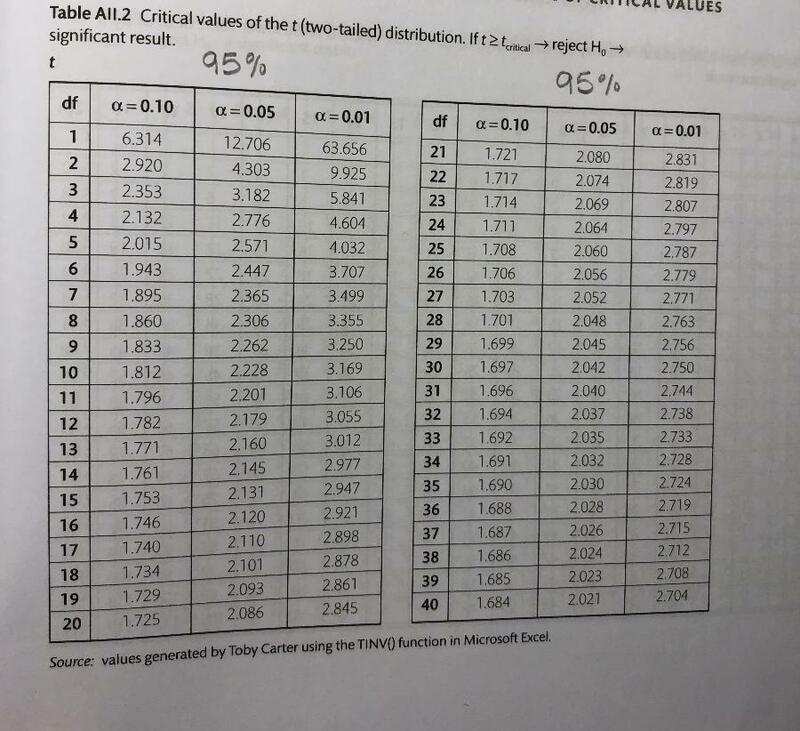 Using a critical t value table. Three plots showing the 95% confidence intervals of the mean of samples. What can you tell from each graph? Graph A - Complete overlap of the bars implies it is very likely that the two samples came from the same population and any difference between them is due to error alone. 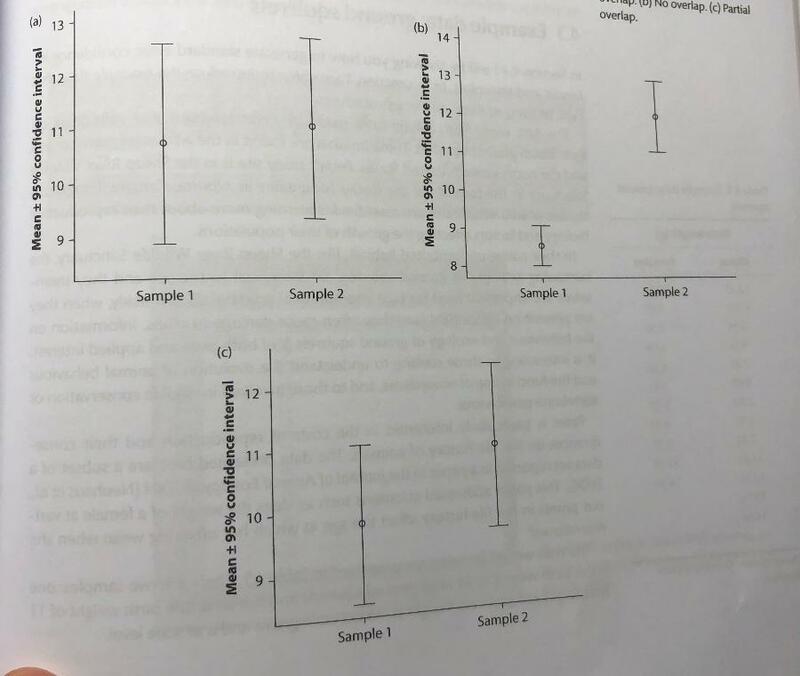 Graph B - No overlap of the bars implies it is very unlikely that the samples came from the same population and the difference between them is statistically significant.